Trinity Mirror has confirmed it will launch a new "upbeat", "optimistic" and "politically neutral" national newspaper called New Day. It will be available Monday to Friday and launch on Monday, 29 February. Trinity Mirror said that the new title"will be an entirely new newspaper, not a sister title or light version of the Daily Mirror". The paper will have a core editorial staff of 25 and aim to mix digested news summaries (taken from the wires) with more in depth news and features. It will aim to provide a bright and breezy digest of the day's news. Sport will be covered in the main run of the pages (rather than at the back) and a roster of high-profile celebrity columnists are expected to provide articles on an ad-hoc basis. It said in a statement this morning: "The New Day will cover news and topical content but with a modern style and tone, aimed at a wide audience of women and men who want something different from what is currently available. "It will report with an upbeat, optimistic approach and will be politically neutral. It will cover important stories in a balanced way, without telling the reader what to think." The title will run 40 pages and be available across the UK at 40,000 outlets, according to Trinity Mirror. It will trial at 25p for the first two weeks before rising to 50p (10p cheaper than the Daily Mirror but 10p more expensive than i). The Mirror's former Saturday and Sunday editor Alison Phillips is to edit the new title. She said: "There are many people who aren’t currently buying a newspaper, not because they have fallen out of love with newspapers as a format, but because what is currently available on the newsstand is not meeting their needs. 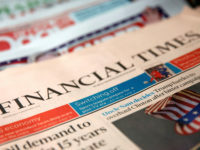 Trinity Mirror chief executive Simon Fox said: "Over a million people have stopped buying a newspaper in the past two years but we believe a large number of them can be tempted back with the right product. "Revitalising print is a core part of our strategy in parallel with digital transformation and there doesn’t have to be a choice between the two – newspapers can live in the digital age if they have been designed to offer something different." The launch comes as Trinity Mirror's flagship title the Daily Mirror is under attack from a 20p Daily Star. New Day looks set to compete most closely with i, which also aims to be politically neutral and which is being bought by Johnston Press for £24m. 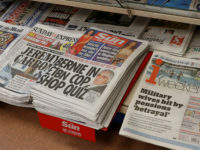 Fox told the BBC Radio 4 Today programme the launch of The New Day has nothing to do with the imminent closure of The Independent as a print title. He said: "The very sad demise of The Independent and Independent on Sunday had nothing to do with the timing of this launch." And he suggested the newspaper will aim to appeal to women, saying it is "targeting a demographic of women and men, others might say men and women – there is a slight nuance". Fox said the long-term slump in newspaper sales is because "there has been no innovation in the product" and insisted the new paper can buck the trend. He also revealed that, while the newspaper will have a presence on social media, it will not have a website.